George Sapounidis “Chairman George” and Stuart Watkins have been invited to Beijing to perform in one of China’s biggest international festivals this spring, the 2009 MEET IN BEIJING Arts Festival. Sapounidis and Watkins will perform a combination of Chinese folkpop and international songs in other languages. Their repertoire also includes original songs written and performed by Sapounidis in Mandarin, as well as Olympic-themed tunes. In May 2009 performing troupes from Israel, Benin, Chile, Mauritius, Sweden, Canada and 9 other countries will participate. MEET IN BEIJING Arts Festival 2009 is a month-long gala featuring diversified cultural performances by artistic troupes from around the world. Chinese performances by top-class arts groups from different regions in China will also be included. The Festival is sponsored by the Ministry of Culture of the People’s Republic of China, the Beijing Municipal Government and the State Administration of Radio, Film and Television and is organized by the China Performing Arts Agency. George Sapounidis “Chairman George” (vocals, guitar, bouzouki) has been called a poster boy for Canadian multiculturalism. He is a Greek-Canadian performing artist who sings international folksongs in Mandarin Chinese, Greek, Spanish, Hebrew, Arabic, Persian, Russian, Hindi, English and French. 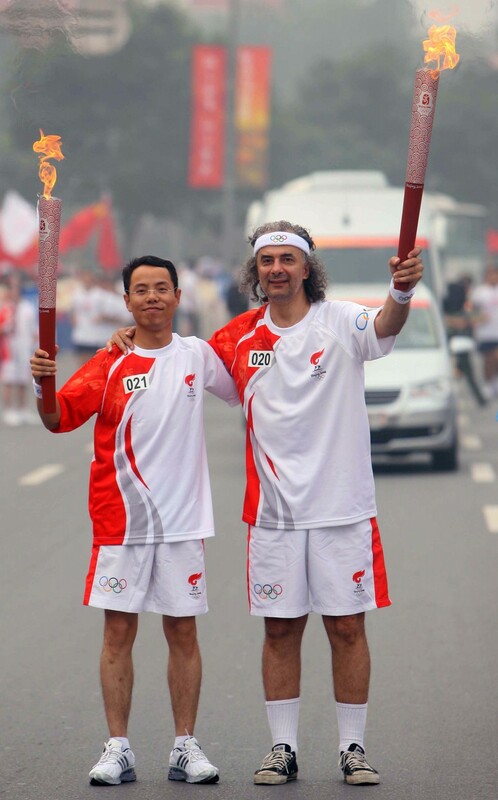 He is a two-time Olympic Torch Bearer (Beijing 2008, Athens 2004) and performs regularly in China where he dramatically crosses cultural boundaries by belting out traditional and pop music standards as well as original compositions in fluent Mandarin and Greek from back alley Hutongs to the Olympic and Paralympic Villages in Beijing and for millions of delighted Chinese on state television and radio. Chairman George has appeared at international performing arts festivals across China, in Beijing’s Forbidden City Concert Hall, at the Great Hall of the People and on stage beside some of China’s pop and classical music icons including Cui Jian, Dai Yuqiang and Mao Ning. He was National Olympic Committee Assistant with the Chinese Delegation at the Athens 2004 Olympic Games. In 2008 Chairman George released an Olympic themed world-pop CD called Expect the World with a concert held at the National Arts Centre in Canada. It contains eight Olympic songs performed in Mandarin Chinese, English and Greek. In 2007 he hosted the national CBC Canadian Television Special China-Canada Hand in Hand : A celebration of the Olympics featuring top performers from across China. In 2005 he was the subject of the award-winning W5 CTV / BBC international television documentary Chairman George. 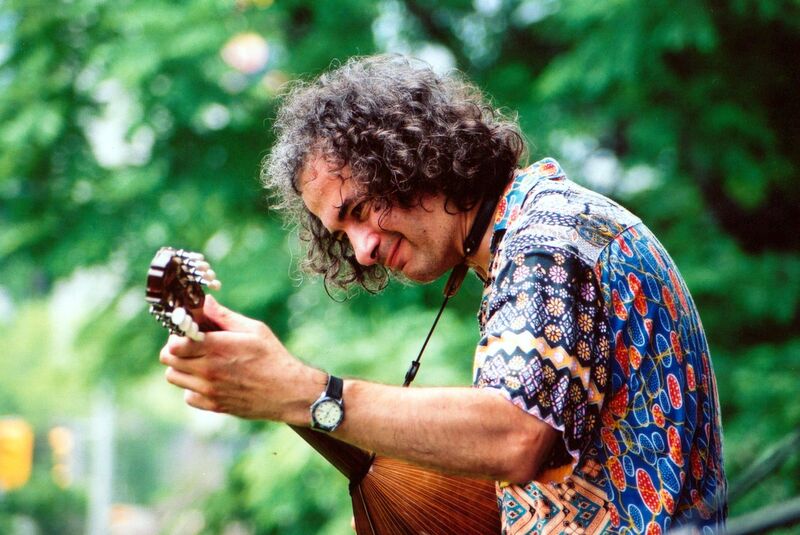 His CD George from Athens to Beijing was nominated for Best World Music at the 2005 Canadian Folk Music Awards. Tianjin Satellite Television in China is currently producing Part III of a documentary mini-series about Chairman George to air across China in 2009. George Sapounidis holds a Ph.D. in mathematical statistics from the University of Toronto. Stuart Watkins (electric bass, backing vocals) has performed at the Athens, Torino and Beijing Olympics. He appears regularly with the Grammy-nominated East Village Opera Company (Decca/Universal) from New York City who performed at the 2006 Ms. USA Pageant in Baltimore and at the world premiere of the DaVinci Code in Hong Kong. In 2002, Watkins received a prestigious grant from Canada Council for the Arts to travel to Dakar, Senegal, where he became the first western student of bassist Habib Faye. He has previously toured China twice with Chairman George, in November 2006 and May 2007. This entry was posted on May 20, 2009 by George.